After completing its first smash year on Broadway, Disney On Broadway is pleased to announce the North American Tour beginning Fall 2019 at the Pantages Theatre in Los Angeles. After completing its first smash year on Broadway, Disney On Broadway is pleased to announce the premiere engagement in Sydney, Australia opening July 2020 at the Capitol Theatre. 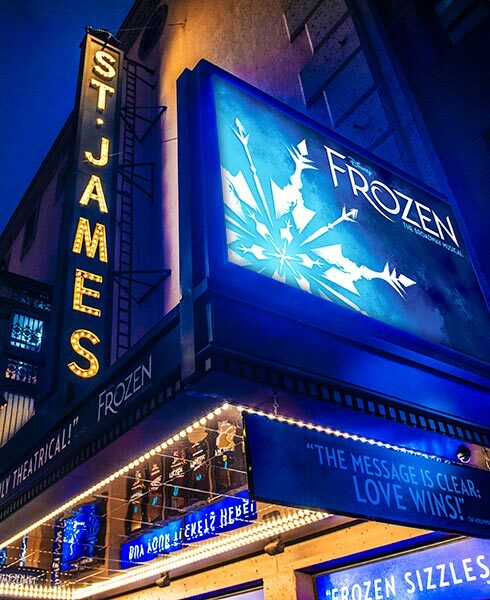 After completing its first smash year on Broadway, Disney On Broadway is pleased to announce the premiere engagement in London, England opening Fall 2020 at the newly refurbished Theatre Royal Drury Lane. After completing its first smash year on Broadway, Disney On Broadway is pleased to announce the premiere engagement in Hamburg, Germany opening in 2021.